Last week I shared the story of my phone call with Arnold, a prospect who called us in April 2012 requesting we put together a proposal for him at the end of our first phone call. I shared with Arnold that it wouldn't be ethical for us to pretend we knew what his company needed without knowing much, much more about their needs and goals—and explained that, essentially, any plan provided to him after one conversation would be worth less than the paper it was printed on. Interestingly, the story didn't end when we hung up the phone and Arnold went off to collect proposals from other web companies. Fast forward three months to July 2012. It's mid morning and the phone rings again. Arnold's called to tell me the story of what he's gone through during the past 3 months, and shares with me how he'd spoke with a number of web companies that appeared to do fantastic work. 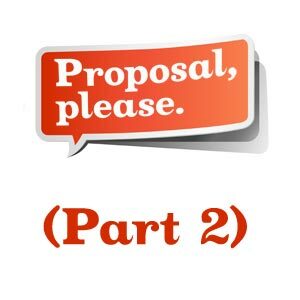 Each one of those companies had sent him a proposal, just as he'd requested. Then he and the company's owner had sat down to review the various proposals. They were shocked to find pricing ranging from $5,000 up to $50,000. They realized they had no idea how to tell the proposals apart. They realized they had no understanding of what assumptions the web companies were making, or what each company meant when they promised vague deliverables like "website copywriting". They realized the vast discrepancies across the proposals made it impossible for them to make a gut decision about who was right for their company. And worst of all, they realized they had accumulated a stack of wildly varied solutions for a problem they weren't even clear about. "Arnold, what is it you were hoping we could help you with?" I asked. "We don't know what we want and we don't know what we need. We don't even really know what we're looking for in general or what to be looking for in proposals or what's most important. We need a guide and we need a plan." They finally realized they didn't actually need proposals filled with assumptions and guesses. They needed a clear, strategic plan: a Website Blueprint. During the course of the next 2 months, we worked with Arnold's company to create a road map for their online strategy. Through interviews, research, insight, and analysis we built an understanding of their challenges, needs, and goals—then transformed that understanding into a strategic master plan—a Website Blueprint. Their final 26 page Blueprint was one part analysis, one part recommendations, one part technical specifications, and one part pricing structure. Their Website Blueprint was so much more than proposal filled with assumptions and best guesses, it was a collaborative process that culminated with a strategic plan that gave Arnold and his company the peace of mind they were looking for. It gave them a clear picture of where they were, where they wanted to go, what needed to be done to get them there, and what they needed to invest to solve their challenges and achieve their goals. It also gave them the whys behind the recommendations. And we're happy to share that, after a delay during the winter months, they're now fully immersed in the process of having their new website designed and developed—based on their Blueprint, of course. Are Website Blueprints right for all website projects? Though the Website Blueprint was a perfect fit for Arnold's company, it's definitely not for everyone or every project. For those intrigued by the concept of a Website Blueprint, and for those who understand it takes collaboration, questioning, research, planning and insight to develop a customized plan for a profitable website, we encourage you to visit our Website Blueprint page or request a conversation to determine if one might be a good match for your needs.